Amy Racina (now 54) lives in Healdsburg in Northern California with two cats and her boyfriend Mickey. Her son Sam, now 24, lives a few miles away. Amy is self-employed. She owns and operates two businesses. The first is Instant Pool Cards® which manufactures and sells a ten-way pull-tab entertainment card for people who enjoy organizing pools for Baseball, Football & Hockey games. Her second business The Everyday Goddess™” is a traveling festival clothing store featuring fun, inspirational, festive, danceable re-claimed clothing for women. Amy is a California State Parks Volunteer, working with Stewards of the Coast and Redwoods protecting and preserving several of California’s State Parks. Amy also volunteers for The Ceres Community Project, A non-profit organization that cooks and delivers organic home-cooked meals to cancer patients and others with debilitating illnesses. She is an integral part of a “Share the Care” program for a good friend who has been paralysed by Multiple Schlerosis. Introduced to backpacking at 16, Amy began soloing in her early twenties. She has trekked hundreds of miles through the wilderness that she loves, especially in the high country of the Sierra Nevada Mountain Range and particularly in Kings Canyon/Sequoia National Parks. Just nine months after the near-fatal fall chronicled in Angels in the Wilderness, Amy headed again for the wilderness with her pack, backpacking once again. The medical professionals who had treated her were amazed, but people who knew her were not. 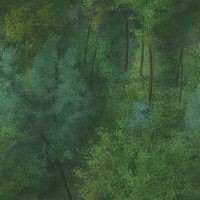 They had no doubt that she would defy the odds and hike once again in the wilderness she loves. Although Amy says that her injuries have slowed her down somewhat, she continues to hike and backpack as much as possible. She still enjoys soloing, and now carries a (PLB) Personal Locator Beacon. In 2007, Amy completed a 120 mile trip on the JMT (John Muir Trail) and climbed Halfdome again for the first time since her fall. She hopes one day to go back to the Tehipite Valley, the scene of her near-fatal fall. 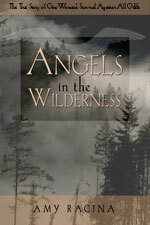 Since the publication of the hardcover edition of Angels in the Wilderness in October 2004, Amy Racina has appeared on Lifetime TV’s “What Should You Do? “ The Montel Williams Show, The Discovery Channel Documentary Series “The Extreme Body: Sensation.” Amy’s story has been seen in national and international publications such as The London Times, The San Francisco Chronicle, National Geographic “Outside Magazine,” Celebs Magazine (U.K.) The Los Angeles Times, The Santa Rosa Press Democrat, The Fresno Bee, and many others. 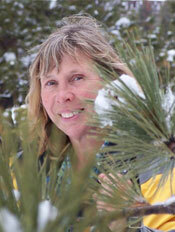 She has given over 100 presentations for Conferences, Wilderness Groups, Historical Societies, Hiking Associations, Sierra Club Groups, REI stores, Libraries, Scout Troops, schools, churches, and many more.Contact Amy Racina for a possible speaking engagement.